Before you view this page please review my specific disclaimer page. Age discrimination in the workplace is another example of workplace discrimination that plagues society. Hello I'm Yancey, I know every job seeker and employee should be judged and maintain employment based on skill and performance. When people are treated differently in the workplace because of age, it can also be bad for business. For example, a company refuses to hire someone because they "appear" to be over 50. It hires an applicant who "appears" to be 20 something. Six months later the 20 something quits for a "better job". The older worker is hired by another company and exhibits superior ability and stability. The former company now has to incur the time and expense of recruiting, interviewing, background checking, hiring and training a replacement. Hello, I’m Yancey and I have experienced and witnessed all types of discrimination on the job, including watching "vintage" (older) employees not receive equitable treatment. What is age discrimination? The (ADEA) Age Discrimination In Employment Act of 1967 states, "it is unlawful to discriminate against a person because of his/her age with respect to any term, condition, or privilege of employment, including hiring, firing, promotion, layoff, compensation, benefits, job assignments, and training." When individuals are 40 years old or older and the targets of harmful employment decisions, it could be illegal age discrimination. The ADEA is a federal law that protects career seekers and employees. The following are some examples of what age discrimination in the workplace might look like. The employer lays off mostly older employees, but keeps younger workers who have less experience and seniority. The older worker starts receiving bad job evaluations for not being "adaptable" to new work tasks. You are fired so the company can keep a younger employee for less compensation. The company hires a person of "newer vintage" (younger) than you because it wants someone youthful for the job. The older worker is denied a promotion and the company hires a younger person, stating it needs a "fresh new look" or "move in a younger direction". The employer refuses to hire you because it wants someone younger. Your supervisor makes comments associated with age such as, "Here comes Moses", "where's the old man", "Is the fossil here today", then you get fired. The ADEA also makes it illegal "to retaliate against an individual for opposing employment practices that discriminate based on age or for filing an age discrimination charge, testifying, or participating in any way in an investigation, proceeding, or litigation under the ADEA." Employers that have 20 or more employees are covered under the ADEA. This includes employment agencies, labor unions, local, state and federal governments. The state in which you live may also have laws protecting seniors in the workplace and the number of employees required to qualify will be different state to state. Companies and organizations can make early retirement available to workers and it not be age discrimination. Unfortunately, these agreements may make it mandatory for you to sign away your right to file a charge of discrimination under ADEA. However, there are very specific guidelines that must be followed by the employer. When age is essential to a specific position, ADEA does not apply. This is also known as (BFOQ) or "bona fide occupational qualification". If an employer hires an actress to play the role of a 15 year old, the youthful appearance is an essential part of the job. Executives may be obligated to retire when reaching age 65 if their annual pension benefits is $44,000 or more. To fire an employee the employer has to have a legitimate and legal reason that is not related to age. No employment decisions must involve age besides the exceptions previously talked about. Legitimate reasons to terminate an older worker would be things such as the company not being profitable involving layoffs and bad job performance on the employee's part. 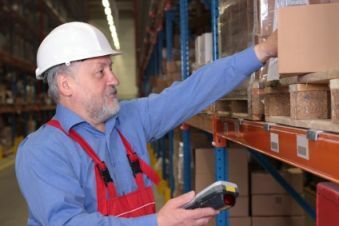 Nevertheless, if the majority of workers laid off are senior but the ones kept are younger, age discrimination in the workplace may have occurred. Another area of age discrimination in the workplace involves company benefits. The (OWBPA) Older Workers Benefits Protection Act is an amendment to the ADEA and makes it illegal to deny benefits to senior employees. Some companies may seek to fire older workers to prevent vesting of their pension benefits or to offset increased health insurance costs. The OWBPA makes this practice illegal. Your boss cannot fire you because he/she complains about your benefits package being expensive. Employers can change or reduce the dollar amount of benefits only if the cost is the same for younger employees. If your boss pays $250 instead of $300 per month for every worker regardless of age, it's not illegal. However, even if the older employee has to pay more for insurance coverage and/or receives fewer benefits than the younger worker receives it is legal under the ADEA. For me a confusing twist in the ADEA involves state government workers. The language of the ADEA directly protects these employees yet the U.S. Supreme Court in 2000 decided a case in which state employees could not take advantage of guidelines allowing them to obtain monetary damages such as back pay from successfully suing their state for age discrimination in the workplace. However, the state law against age discrimination where you live may protect you anyway, which could include monetary remedy. It can be confusing without the proper guidance. 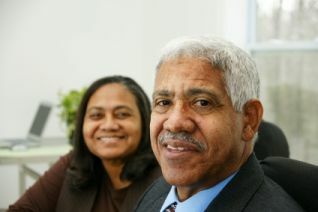 If you believe you are the victim of age discrimination in the workplace, seek advice from a legal expert or attorney. As previously noted there are exceptions to the ADEA as it relates to retirement. Nevertheless, your employer may ask you to retire even though you are protected under the ADEA. Companies routinely offer early retirement packages to senior employees. When businesses and organizations offer early retirement incentives such as higher retirement benefits, severance pay, etc. they can make a request for those employees to surrender their ADEA rights. The employer can just put aside your ADEA rights and retire you without you knowing and okaying it. The company can't just ask you to give up any and all rights, using a "general release" form. Any waiver has to specifically identify your ADEA rights as what's being surrendered for it to be legal. General releases can apply to other types of employment conditions however. Offer the employee(s) 21 days to look it over and 7 days to undo it after signing. Your boss has to give you in essence 28 days to decide if the waiver is in your best interests. I would always consult with a qualified attorney to help me make that choice. Your employer can't give you a verbal okay to waive your ADEA rights of file a claim of age discrimination in the workplace. The waiver has to be in writing and clearly spell out what the conditions under which you leave the company. Recommend that the employee(s) seek legal guidance before signing the waiver agreement. The choice is yours whether you want a lawyer to assist you in navigating the waiver process. Nonetheless the employer has to suggest in writing that you do so. Your right to sue your former employer in the future for something that may later occur cannot be taken away. Even though you sign a waiver concerning a past situation. The employer has to offer you something of value to sign the waiver. The incentive has to be over and above any considerations you are already due to receive. For example, the company could offer you increased benefits that include more severance pay. Hey follow co-workers, here’s a U.S. Supreme Court backed provision in the ADEA I just love! If your waiver has an incentive program that pays you money, you can still challenge the legality of the waiver before paying back the money! Yes!! Before this court ruling senior workers were exposed to having used all or part of the money before learning the waiver was illegal under the OWBPA. Prior to this, by taking the money the older employee was viewed as approving the company’s violating his/her ADEA rights for money. If you believe you are being treated differently because of age there are some things you can do. However, I would learn all I could about age discrimination in the workplace before I did this. Hmmm…you’re already doing that by reading this page! The Equal Employment Opportunity Commission enforces the law covering ADEA. You have 180 days in which to file a complaint after you believe the age discrimination took place. You can file the complaint by phone at 1-800-669-4000, by mail, in person or you can follow this link for more info on how to file a charge of employment discrimination on the EEOC website. Many states have human rights commissions that the EEOC requires that you also file a claim of discrimination with. The EEOC office where you live can provide more info on this. In the event the EEOC does not resolve your situation, you can file a law suit against your employer. There are also definite time limits in which you can this as well. This is usually about 90 days after the EEOC ends it part of the process and issues what is typically called a "right to sue letter". From my experience I found filing a charge in person was the best option along with hiring an attorney to assist me in navigating and learning that process. You also want a time stamp and date for every piece of evidence you submit. 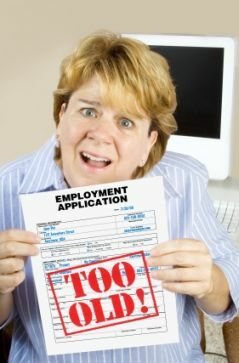 Here is what happens when you file a claim of age discrimination in the workplace with the EEOC. Your employer is notified either by the EEOC or HRC that a complaint has been filed against it. The EEOC/HRC makes a decision on whether to investigate or do a fact find procedure. You and your employer will be asked to provide evidence or documents to support or dispute the allegation of age discrimination in the workplace. Mediation may be used by the EEOC to achieve resolution between you and your company. Mediation is a form of alternative dispute resolution in which a person is neutral or has no interest with any side works with them to a settlement that is mutually satisfactory. Another benefit of mediation is the fact that it is voluntary and you don't lose your ADEA rights if you agree to mediate. When all else fails the EEOC will make a determination for further investigation to see if legal action is appropriate or close your case. If the EEOC decides to close your case or decides in favor of your employer you now have to make an important decision. Do I want to sue my employer in court? Do I just drop it and move on? My fellow employees I want to make a sincere and heartfelt point here. Seek the most qualified employment law attorney you can find to assist in an age discrimination in the workplace claim because you will need him/her. I was put in the situation where I had to make that decision. I chose to defend and protect my employment rights. Because of GOD ALMIGHTYS' grace and taking the time beforehand to learn my basic employee rights I was successful! It was however, a very sobering experience for my family and me. It was costly to us emotionally, physically, psychologically and spiritually. (1) Most employees do not know their basic employee rights. (2) Most employees do not have the monetary resources to sustain a fight for those employee rights when the company is sued in court. My particular lawsuit was not age discrimination in the workplace. However, it was one of the other protected areas covered under Title VII of the Civil Rights Act of 1964. It was extremely stressful but out it came my passionate compassion to help and share with my fellow employees on how to apply and learn our basic employee rights before we need to seek guidance from an attorney at the next level. The burden of proof is on you, so be sure and provide any and all documentation to justify your claim. So what is the How To in proving age discrimination in the workplace? Follow this link to my proving discrimination page. My new blog provides the MOST current changes affecting career seekers and employees. Some employers are constantly working to take away the rights of employees. Follow this link to EMPLOYEE RIGHTS GUIDE, EMPLOYEE WORKPLACE RIGHTS and EMPLOYEE RIGHTS VIDEOS for the latest employee news you can use!